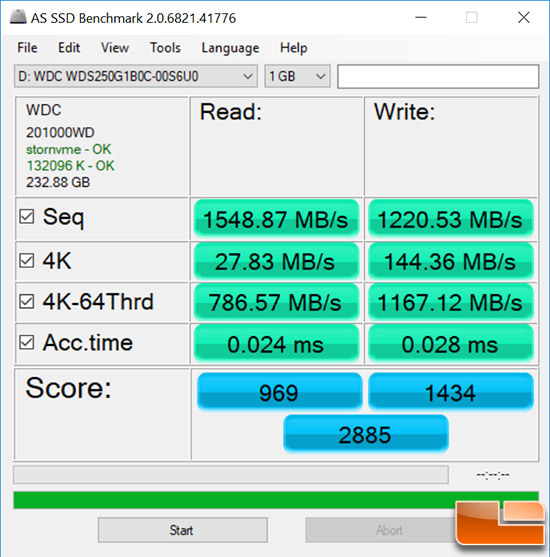 Benchmark Results: On AS SSD, the WD SN500 250GB drive had an overall score of 2,885 points with sequential read speeds of 1548 MB/s and 1220 MB/s write. 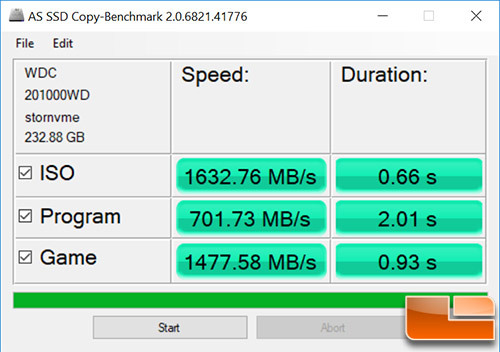 Benchmark Results: Here we speeds ranging from 701 MB/s in the Program workload to 1632 MB/s in the ISO workload, which is very respectable for a mainstream NVMe SSD aimed at budget-conscious buyers. Benchmark Results: For this benchmark chart you would ideally want to see a straight line as you don’t want any compression performance loss as the test goes from 0% compressible to 100% compressible data during the benchmark test period. 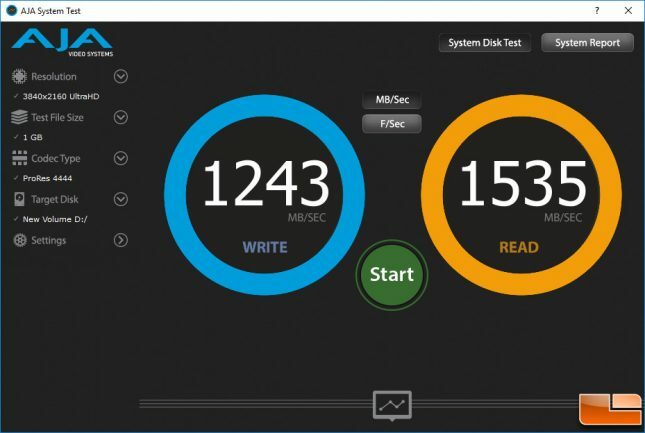 The WD SN500 250GB drive has some dips on both sides as you can see. 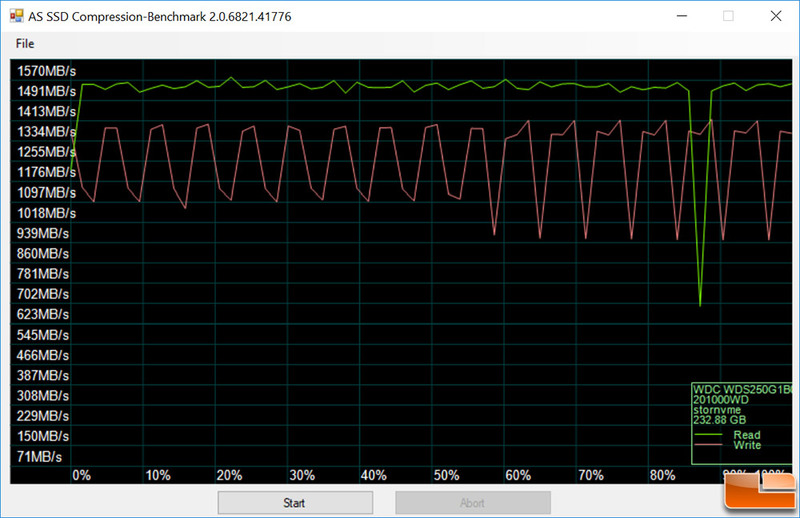 Benchmark Results: Here we are getting 1,535 MB/s read and 1,243 MB/s write speeds with a 4K Ultra HD resolution with a ProRes 4444 codec.